A Newsday investigation reveals the pipeline delivering New York City’s construction junk to illicit burials in Suffolk and Nassau counties. 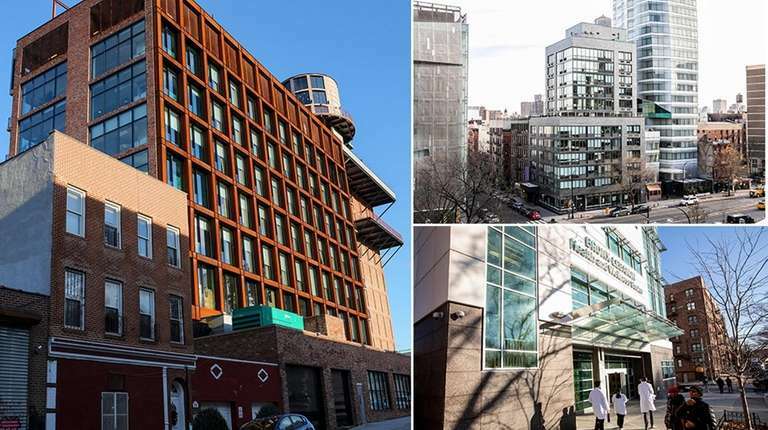 The sleek college dormitory rises 12 stories in Manhattan’s East Village, where a Federal-era row house once housed boot-makers and beat poets. The 150-room boutique hotel in Williamsburg, Brooklyn, replaced a scrap yard. The 60,000-square-foot Bronx health center modernized a growing borough’s medical care. The projects neatly represent New York City’s building boom and the changing face of many of its neighborhoods. But they and 10 other sites, transformed by condos and warehouses, also launched an environmental assault on Long Island. They set off a chain that delivered 40,000 tons of construction debris — contaminated with chemicals that can sicken from simple contact — to Roberto Clemente Park in Brentwood in 2013 and 2014. That “nightmare,” as a prosecutor once called it, led to a heightening focus on the systemic problem of illegal dumping, still at the forefront when authorities last November broke up what they called the largest such scheme in New York State history. Four years apart, the Clemente and “Pay Dirt” cases are linked in previously undisclosed ways. A Newsday investigation found that a few of the same companies, individuals or families are accused of playing roles in the path that the tainted loads took in both incidents. Some lacked required city certification to work with construction debris and, in several instances, documents show, arranged for its disposal from sites where tests had revealed toxic materials. 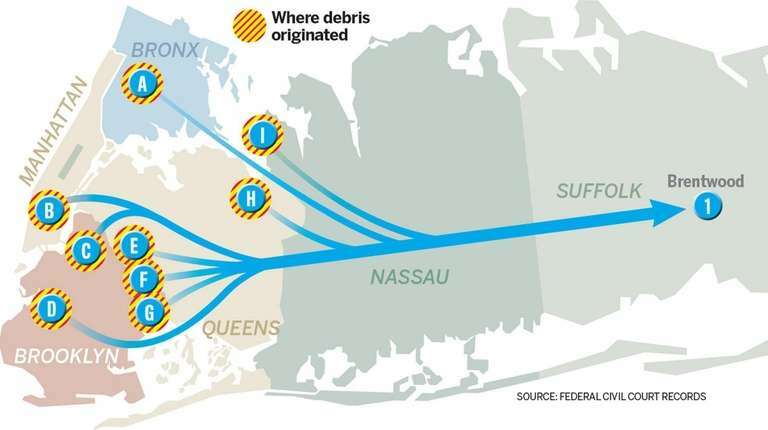 These connections — discovered in a Newsday analysis of thousands of pages of business records and civil and criminal court filings — reveal the workings of the prototypical pipeline delivering New York City’s construction junk to its illicit local burial. The documents also allow, for the first time, a “cradle-to-grave” accounting of what was found throughout Clemente’s soccer fields and recharge basins, as well as the Pay Dirt backyards. Some of the material, officials said, contained lead, pesticides, asbestos, diesel fuel and other hazardous substances in levels exceeding state Department of Environmental Conservation limits, posing possible health risks, particularly to children. Soil containing these contaminants (typically found in New York City because of its long industrial and demolition history) requires disposal at government-regulated facilities that monitor everything they take in. To protect the aquifer supplying Long Island’s drinking water, these facilities are largely out of state, resulting in far-costlier transportation. Even uncontaminated construction and demolition debris, known as C & D and containing items such as wood, rebar and concrete, is accepted at few local landfills, also at an extra cost. Industry estimates have put legal C & D disposal at $1,000 per 40-cubic-yard truckload, with contaminated debris costing even more. In the Clemente and Pay Dirt cases, the transporters were paid as little as $400 per load, records show. That’s why authorities and experts cite greed as the main motivator. The DEC estimates that of the 7.3 million tons of C & D generated annually in the city, 635,000 tons, or about 9 percent, is illegally dumped. The industry paints a more complicated picture. Previous DEC regulations, they say, were ineffective, creating an opening for bad actors. And they see new ones, including requiring chemical analysis of "fill" material leaving C & D processing facilities and requiring city C & D haulers to carry detailed tracking documents, as an overreaction that could further incentivize dumping by increasing costs and red tape. 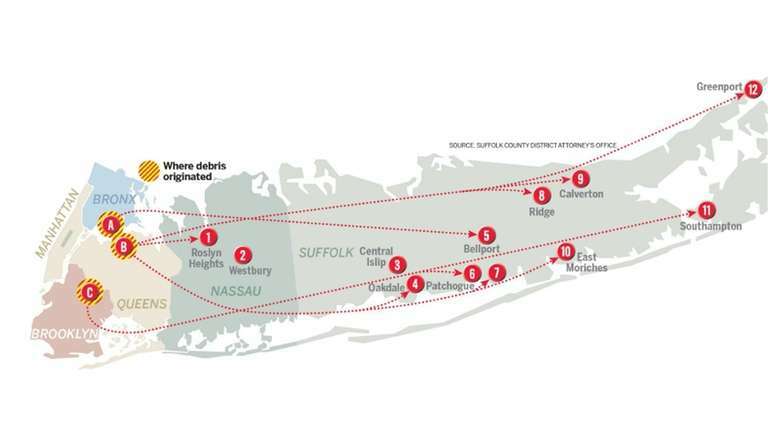 Regulatory gaps and imprecise statutes have helped some accused role players in the two high-profile Long Island dumping schemes deny responsibility, Newsday found. Pre-Clemente, the DEC didn’t regularly check loads of city C & D for hazardous substances, and before early 2018, drivers weren’t required to present logs that revealed what precisely what they were carrying and where it originated. Today, few criminal statutes specifically cite illegal dumping, leaving prosecutors the harder-to-prove charges of conspiracy and endangering public health. In that vacuum, those suspected of involvement have more easily passed the buck, hot-potato fashion. General contractors in the city argue that demolition or excavation subcontractors are responsible for disposing of their debris. Subcontractors point to the “waste brokers” they hire for disposal. Brokers claim that subcontractors represent the material as clean and that transporters have the burden to properly rid of it. And transporters say they’re simply carrying out wishes of suppliers or brokers, without any requirement to inspect loads themselves. This finger pointing is at the heart of the various corporate defenses in both the Clemente and Pay Dirt cases. Clemente’s two brokers — who were not charged criminally — laid blame on the convicted carters who did the actual dumping, while in Pay Dirt, the truckers and the suppliers, all facing pending criminal charges, implicate each other. Regardless of who is responsible, health experts see a real threat in the end result. Dr. Leonardo Trasande, director of the division of environmental pediatrics at NYU Langone Health, characterized even short-term skin contact with certain hazardous substances commonly found in construction waste as harmful to children’s long-term brain development. The two examples of linkages between the Clemente and Pay Dirt cases involved entities that allegedly operated at critical, but shifting, points in the city-to-suburbs dumping chain. In the first example, a Bay Shore firm, IEV Trucking Corp., is identified in civil lawsuits as serving as one of the brokers between city construction site contractors and Thomas Datre Jr., the man prosecutors described as Clemente’s “mastermind.” Datre pleaded guilty to four felonies in connection with conducting the dumping and served about a year in jail. One of his firms was fined $600,000. In Pay Dirt, IEV and an associated company, D.J.C.I. Enterprises LLC — as well as their owner, Carlos Melgar — are accused in the criminal indictment of transporting and dumping debris in collusion with that case’s central defendant, the self-proclaimed “dirt broker” Anthony “Rock” Grazio. The second example involves different members of a family with decades in the construction industry. Manhasset-based COD Services Corp., identified in civil lawsuits as another broker in the Clemente case, is run by Louis Durante Jr., business records show. Durante once led a company, now run by his nephews, facing criminal charges including conspiracy and endangering public health in the Pay Dirt scheme. Authorities allege the Queens company, Durante Bros Construction Corp., provided solid waste with hazardous substances to truckers, including IEV. Durante gave up leadership in Durante Bros Construction after being convicted in the late 1980s of numerous felonies tied to fraudulently overbilling New York City agencies for paving work. All of Pay Dirt’s nearly 40 criminal defendants, including IEV, Melgar, Durante Bros Construction and its operators — the nephews John and Louis Durante — have pleaded not guilty and deny knowingly dumping materials containing hazardous substances. None of the suppliers or brokers in Clemente’s disposal chain, including IEV and COD, were charged with crimes. Datre and one of his associates, Christopher Grabe, were the only two people to serve jail time. 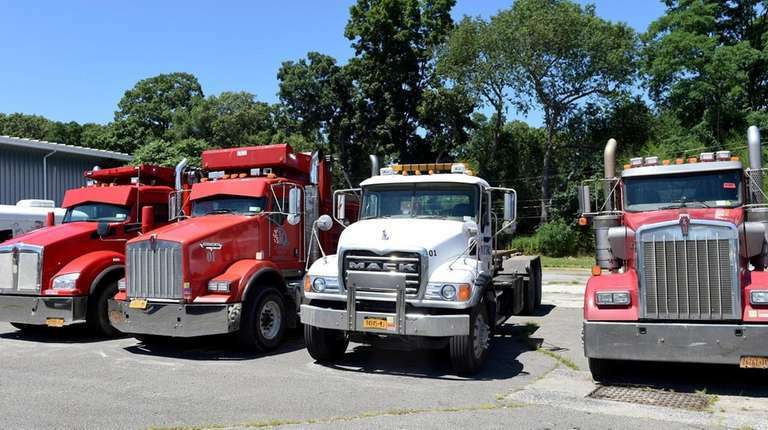 IEV Trucking and COD Services were publicly identified for the first time in federal civil complaints filed by the Town of Islip in 2016 and on behalf of the DEC in 2017. 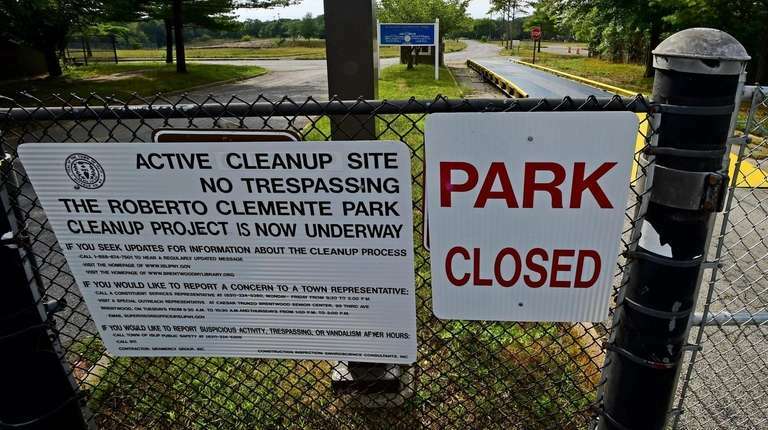 The suits seek to hold dozens of parties liable for a combined $7 million in damages stemming from the three-year-closure of the park and the cleanup job. The Islip complaint details hundreds of calls and text messages between the two brokers and Datre or Grabe. It describes $417,000 in payments to Datre’s companies from IEV and $245,000 from COD for a total of roughly 1,200 truckloads of materials brought from construction sites to Clemente. Those sites, once completed, resulted in the new East Village dorm, Williamsburg hotel and Bronx hospital projects, as well as $2,500-a-month apartment buildings on former vacant lots in Bedford-Stuyvesant, Brooklyn, and a 184-unit assisted living center in East New York. The contractors and subcontractors on those projects are defendants in the DEC suit but not in Islip’s. Besides Datre and his associates and companies, IEV and COD are the only entities in the chain accused in both ongoing cases, though attorneys for the town last month said they soon plan to add the site owners to the complaint. IEV Trucking, the DEC alleges, hired Datre to haul away scores of truckloads of debris from at least five of the 13 projects identified as generators of what was dumped at Clemente Park between mid-2013 and early 2014. 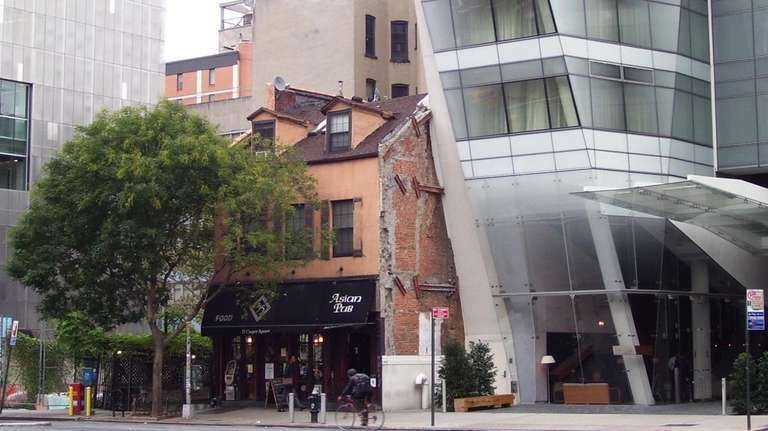 This includes an estimated 35 trips from an old church property in Park Slope, Brooklyn, that became luxury apartments, and 40 trips from the former auto parts recycling yard in Williamsburg, Brooklyn, that was demolished and turned into the eight-story Williamsburg Hotel, which now rents rooms for $200 a night and includes a restaurant that bakes its own artisanal bread. Two reports commissioned by developers at the latter site revealed hazardous substances, such as lead, chromium and benzo(a)pyrene, a carcinogen found in gasoline and diesel exhaust, according to the DEC.
"A deal that is 'too good to be true' can be circumstantial evidence." Part of the reason they should have known — at least that illegal dumping was possible — the suit argues, is that Datre’s companies charged IEV between $450 and $750 per truckload, when lawful disposal rates were generally between $750 and $1,750. “A deal that is ‘too good to be true’ can be circumstantial evidence,” said Steven Solow, a former Department of Justice environmental crimes chief and former prosecutor on New York State’s Organized Crime Task Force. Additionally, the suit alleges, neither IEV, COD nor most of Datre’s trucks had relevant approvals issued by New York City’s Business Integrity Commission, or BIC, the body tasked with rooting out construction and waste industry corruption. Licenses or registrations from the commission are required for businesses acting as city trade waste brokers or haulers. The DEC and Islip suits both argue that the absence of those BIC authorizations should have been another hint to everyone in the chain of illegal disposal. Representing IEV, Jericho-based attorney Michael D. Cassell said the firm would not have been able to determine that Datre’s companies were going to dump hazardous debris at a public park simply because of missing truck licenses. As the lawsuits await dismissal motion rulings, IEV and its affiliated company, D.J.C.I. Enterprises, are also fighting Pay Dirt criminal charges brought by the Suffolk district attorney’s office. This time, instead of acting as brokers, authorities allege the companies were among several that carted and dumped solid waste, some with hazardous substances, at numerous properties. One Ridge homeowner, expecting delivery of clean "fill” arranged by Grazio, the alleged broker, received loads from IEV and D.J.C.I. that contained boulders and “smelled like diesel,” according to the indictment filed last November. The companies and Melgar face charges including misdemeanor conspiracy and felony criminal mischief. They have pleaded not guilty. Melgar, in a brief interview, said he had no knowledge the materials were contaminated or contained solid waste. “If I knew the stuff was bad, why would I dump it?” he said from his office. She suggested the charges were designed to seize assets, and that if the dumping was a true emergency, authorities listening on wiretaps would not have allowed it to happen. “They [the government] see it as a huge moneymaker,” Bartling said. Melgar said authorities had frozen $1.4 million from his bank accounts. Suffolk District Attorney Timothy Sini has said the investigation, in total, seized more than 20 trucks and $4.4 million in assets. But he dismissed criticism by citing the wiretaps that show Pay Dirt defendants discussing “getting rid” of solid waste and “covering” it with clean dirt to mask its contaminated contents. In the Clemente case, COD Services Corp., Louis Durante Jr.’s company, acted as a broker for the sites where IEV did not, according to the DEC.
That totaled seven of the 13 projects tied to the dumping, including the 50,000-square-foot dorm building now occupied by Marymount Manhattan College. At that site, the developer commissioned reports showing the soil contained several hazardous substances and that the demolished row house had asbestos, records show. Attorneys for COD argued, as well, that their client was not made aware of contaminants at the dorm site, placing blame on the contractors. “If COD arranged for the disposal of what its customer represented to COD was clean fill, there would be no way for COD to know the material actually contained hazardous waste,” the Garden City law firm of Jaspan Schlesinger LLP wrote in one of its lawsuit dismissal motions. Attorneys for COD Services declined to comment further. The firm’s principal, Durante, previously was associated with his family’s Durante Bros Construction Corp. In 1987, he was charged by the Manhattan district attorney with bilking New York City agencies out of more than $340,000 through public paving work. Durante, accused of more than 80 counts connected to submitting false or overstated bills for asphalt work, faced up to 21 years in prison if convicted but served no time after pleading guilty in 1988 to 13 felonies, according to court records. He instead was sentenced to probation, and he and Durante Bros Construction were fined a total of roughly $80,000, the equivalent of about $200,000 in today’s dollars, records show. The penalty, lacking imprisonment or a restitution requirement, was deemed unusual enough that it was cited in a 1989 report by the state’s Organized Crime Task Force, titled “Corruption and Racketeering in the New York City Construction Industry.” Prosecutors at the time were often hesitant to pursue such white-collar crime cases because of perceived light sentences, according to the report. “In this instance, crime paid,” the report stated. While Durante’s current company was identified in Clemente’s lawsuits, his old one, run by his nephews, was named in the Pay Dirt indictment. 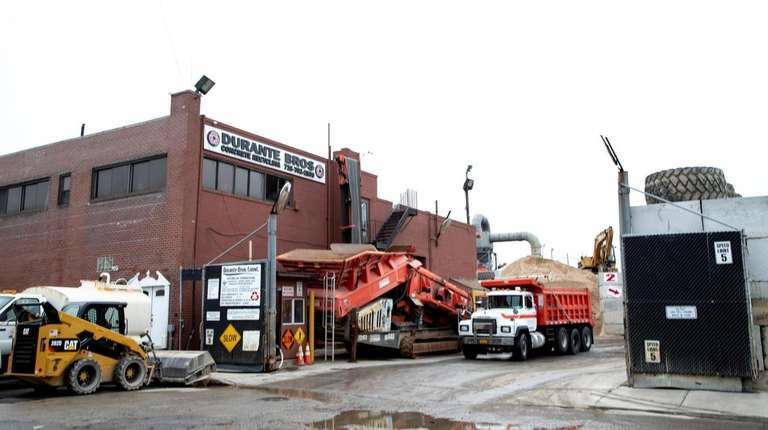 Flushing-based Durante Bros Construction now operates a solid waste transfer station, a facility that stores, sorts, processes and extracts recyclables from C & D before arranging for its reuse or disposal. It is charged with multiple felony counts for allegedly providing much of the solid waste dumped last year on Pay Dirt properties. Along with the charges against the corporation, John and Louis Durante, the nephews, face single counts of misdemeanor conspiracy. Authorities allege that they discussed obscuring materials that tested positive for hazardous substances with clean dirt before they left the yard and worked to improperly dispose of loads that would soon be subject to more-detailed DEC tracking. The brothers and the corporation have pleaded not guilty. Peter Sullivan, Durante Bros’ Manhattan attorney, said his clients did nothing wrong, also suggesting that the district attorney’s office was motivated to seize assets from a successful company that has spent "a fortune" testing material leaving its facility. “They’re the defendants with the least control over events but the most money,” Sullivan said. Prosecutors allege that the Heights School in Roslyn Heights, an early childhood center in the Roslyn Public School District, is one site that received solid waste from the Durante yard — material later determined to contain no hazardous substances. School officials said a contractor overseeing capital improvements at the campus last June arranged for a supplier to deliver a type of processed construction debris called recycled concrete aggregate, even though the work didn’t call for its use. Speaking generally about the charges, Sullivan called it “equally economically and physically impossible” for a transfer station to control the final disposition of its material. He suggested that brokers and truckers can increase their profits by charging for lawful disposal but illegally dumping instead. “The fundamental problem with this industry and the prosecution is that no one understands the reality of the problems and no one is looking to take responsibility for trying to solve them,” Sullivan said. Melgar’s attorney, in contrast to Sullivan, generally cast blame on material suppliers — not transporters. Durante Bros’ operators haven’t commented on the Pay Dirt charges. But at a 2016 DEC public hearing, John Durante suggested that the new regulations proposed following the Clemente case, such as limits on materials that can be kept at transfer stations, would only exacerbate the problem.